My poor Sunday School class gets unsolicited insight into KathyLand….and sometimes they just shake their heads and laugh! A couple of Sundays ago, I shared a special incident that happened to me. It was on one of those really rainy days and I was walking from my parking lot to my building. 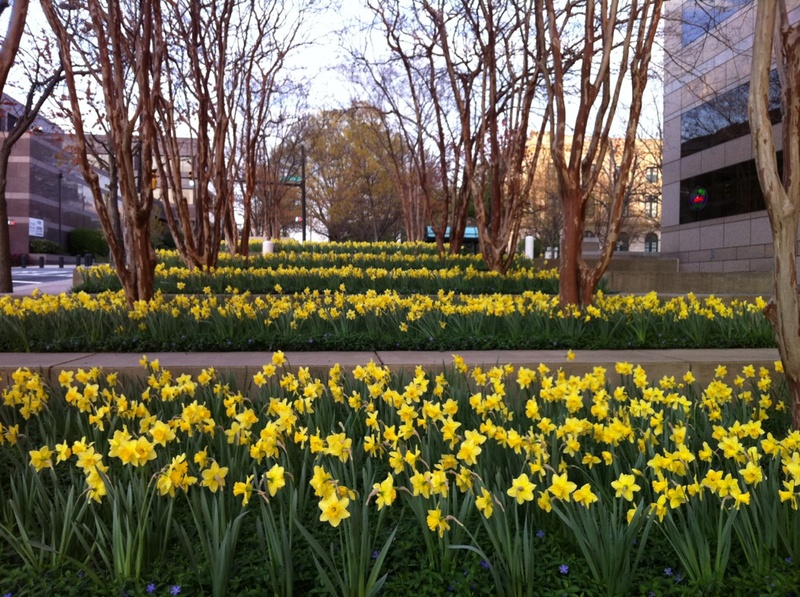 In front of my building are hundreds of daffodils, and although the rain was relentless, they held their heads high….and they smiled at me (yes, Mary, they really smiled)!!! The picture below is courtesy of my dear friend, Denise Hampton.